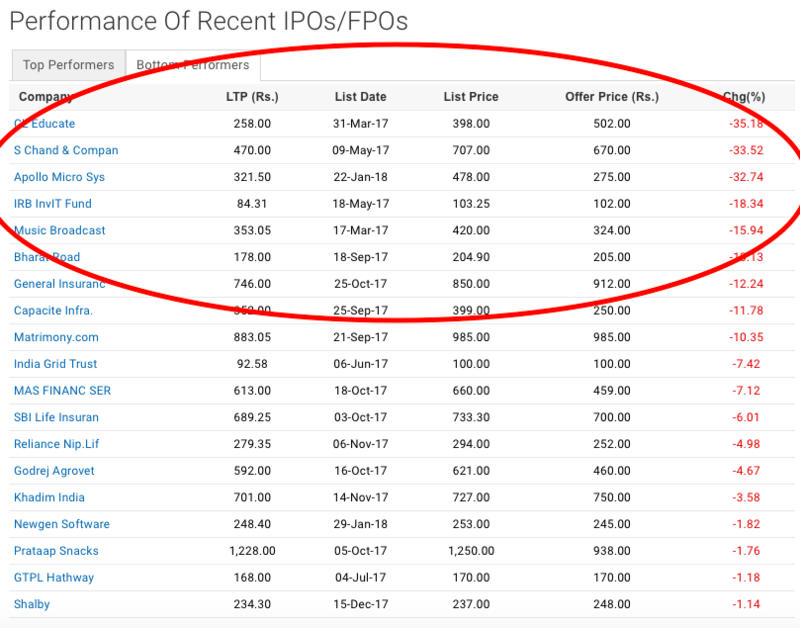 How IPOs performed in 2017? A Quick Analysis. 2017 was a big year for IPOs. There were a number of mega-buster IPO’s that launched in 2017 like BSE, CDSL, Avenue Supermarket, SBI Life Insurance etc. 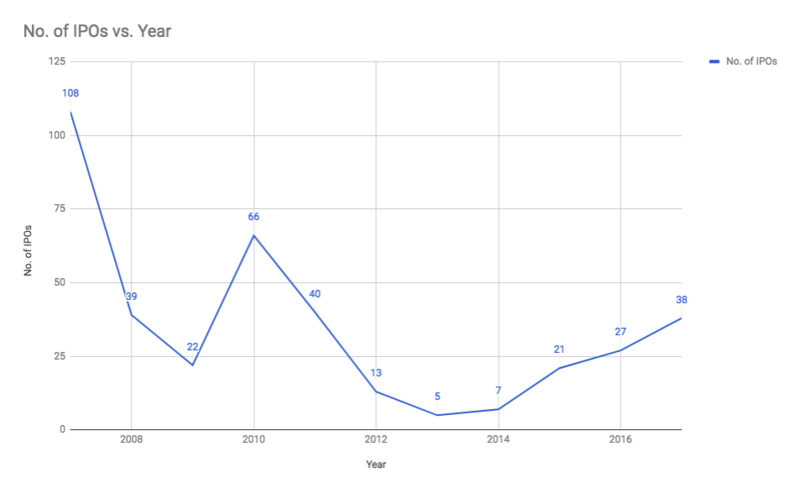 The number of IPOs listed in 2017 was highest compared to the last 5 years, in which none of the previous 5 years crossed over 30 IPOs in a year (please refer the below chart). 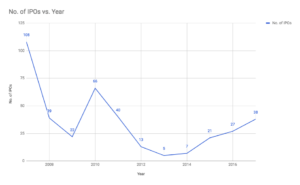 Although it might be a little early to decide the performance of IPOs who got listed in the year 2018, as many of them who got listed on/after August or September, aren’t even six months old in the market. And from the long-term investor’s point of view, it might be too early to evaluate their true potential. However, the last year 2017 was amazing for the equity. Even the benchmark Index Sensex and nifty gave over 27% returns (to be exact, nifty gave a return of 28.6%). And even if in that bull run, some IPOs got beaten up badly, then it might be worth ‘re-considering’ for the long-term investment. 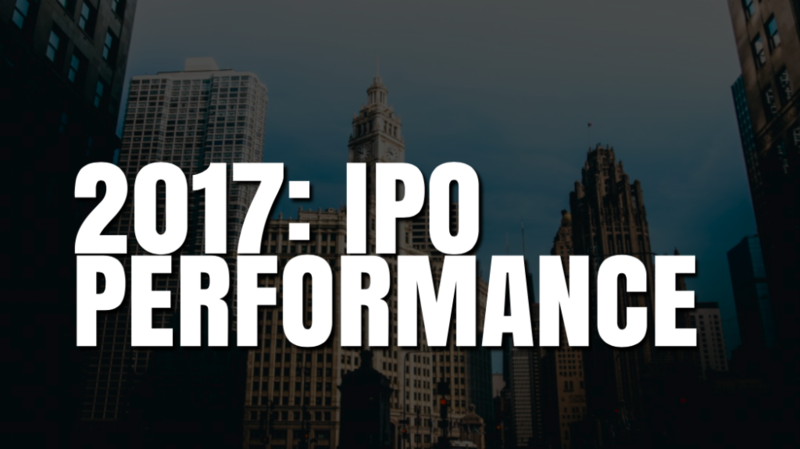 How IPOs performed in 2017? The change is compared to the listing price (not the offered price). 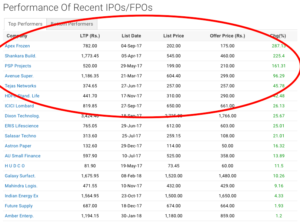 Different IPOs got listed at the different time of the year. So, we cannot compare their returns (as different listing date). For example, if an IPO got listed in January, it returns will be totally different than that of the another that got listed in November or December. Here is the list of top performers of the IPOs that got listed last year. Out of 38 IPOs listed last year, only 10 IPOs gave a return of over 20%. 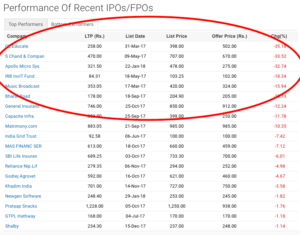 Nevertheless, as discussed above, the majority of this IPOs are not even a year old and hence, it’s too soon to comment on their returns since listing. Moreover, some of the IPO’s that got listed in the year 2017 has given over 100% return within a year. 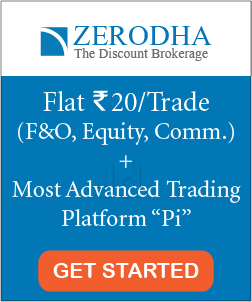 For example: Apex frozen (+287.13%), Shankara Build (+225.4%), Avenue Supermarket- Dmart (+96.29%) etc. On the other hand, there were few ‘big IPOs‘ which failed miserably last year, even when the market gave a return of over 27%. 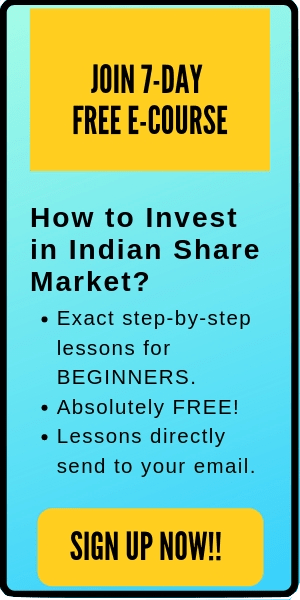 For example: S Chand & Company (-33.52%), Bharat Road -13.13, SBI Life Insurance (-6.01), Khadim India (-3.58%) etc. 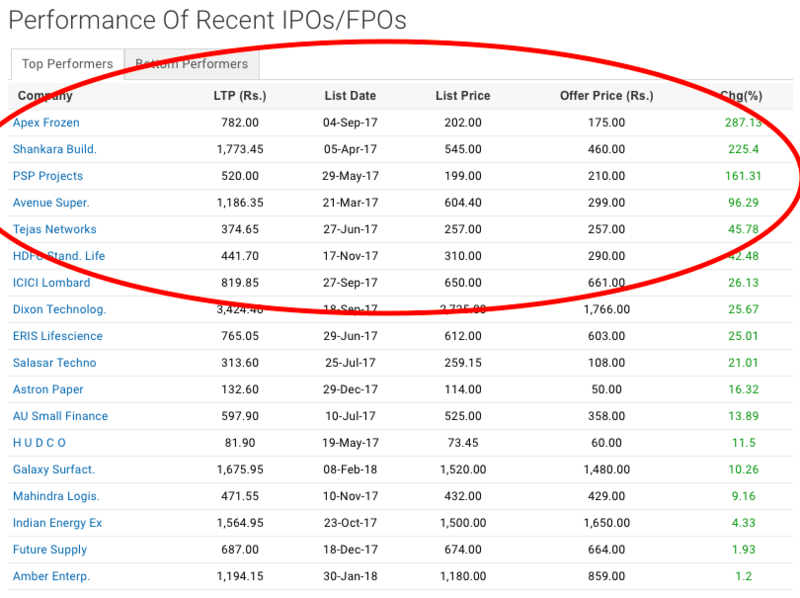 Overall, if you are planning to invest in the IPOs the key point is still the same. Focus more on ‘quality’ over the ‘hype created by the media’. If the listing price seems to be ‘over-valued’, then wait for it to correct. It’s not necessary to buy the stock only at the IPO, you can even buy the stock after it enters the market. I hope this post is useful to the readers. #HappyInvesting.